I neglected to detail the installation process of my owncloud instance back in 2016, which meant figuring some stuff out during the migration. Wanting to avoid repeating this mistake, I decided to detail the migration process for my future self in this post. Environment-wise both servers aren’t too different: the OS has been updated from Ubuntu 16.04 to 18.04 which means newer versions for most packages. Additionally, I decided to move away from mysql to its open source fork mariadb. Given mariadb is a drop-in replacement for mysql, the process went smoothly with the exception on a pesky apparmor bug (which only occurs when you install mariadb after installing and removing mysql) detailed here and here. For the actual migration I followed the NC documentation. Make sure to read it thoroughly in order to get a sense of all the steps involved. I’ve added my notes to each of the steps below. Disable password auth, only allowing key-based aut: Important: don’t disable this if you want to login via username/password! Set the correct ssl certificate paths. I first copied the TLS certs from the old server and installed letsencrypt after NC was up and running. Test nextcloud operation by pointing your browser to the server_name of the new nextcloud instance. You should see the maintenance page. If you see an internal server error, then something is likely amiss with your configuration. Check nextcloud and nginx log files to fix the issue. My internal server errors were solved by installing missing dependencies. Now, login as admin and confirm normal function of Nextcloud. It is advisable to skim through the Nextcloud install docs and fix anything you missed. Now that NC is working properly, point the DNS entry of nextcloud to your new server. Don’t forget to undo the change to server_name in the nginx config file. Clients should pickup on the new server once their DNS caches are expired. Note that you might want to setup letsencrypt at this point. 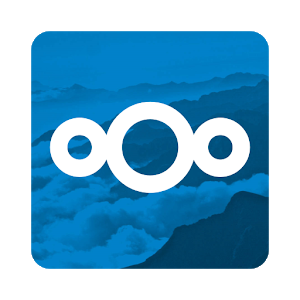 There are many commercial nextcloud providers, but I decided to host my own instance. While it is possible to host at home, I’ve always ran my instance on an inexpensive CX10 instance at Hetzner.de. At € 4,72 per month Hetzner offered a VPS with 1 virtual CPU core, 1GiB of ram and 25GB of disk space. At just 2.7GB of disk space for my NC instance (I am a light user), there is still plenty of free disk space for other services. However, I noticed that 1GiB of RAM can be a limiting factor when sharing a photo album with large JPEG images (24MP). Specifically, when NC generates image thumbnails for the album then PHP spool ups five fpm worker processes which quickly exhausts RAM causing the machine to swap and become unresponsive. While this can be alleviated by downsizing the php fpm worker pool, I read that Hetzner offers a new cloud VPS service with double the amount of RAM at a lower price. For a monthly fee of € 3,01 the CX11 offers 1vCPU, 2GiB RAM, 20GB disk space and 20TB of traffic. Additionally, Hetzner now offers flexible Block Storage Volumes at € 0.0484/GB per month. For my usage the 5GB reduction in disk space isn’t a downside at the moment. Given the low cost of block storage, the €1,7 price difference actually buys you 35GB of storage. Hetzner’s new CX11 doubles the amount of RAM at a lower price.